After an average day at school (for her standards anyway) Amu is confronted by Nadeshiko. She knows about Amu’s feelings for Tadase and thinks she should do something about it. Eventually, she convinces her to make him a cake. 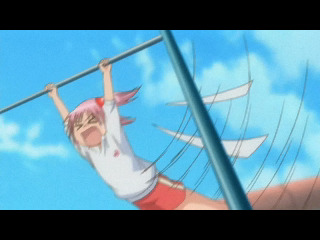 Nadeshiko helps for a while, but then has to go out. 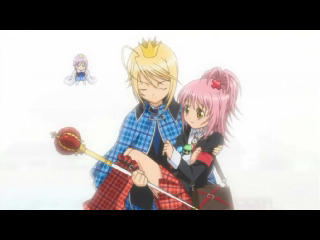 Amu isn’t sure if she can finish alone, but is being helped by an unforeseen force. 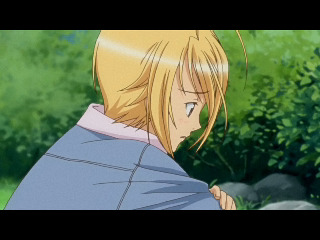 She finds that Ikuto is sitting at the window and he attempts to steal the green egg. When Amu tries to stop him, she ends up pinned to the floor, staring up at him. 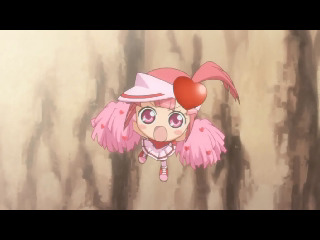 However, Nadeshiko comes back to save her. 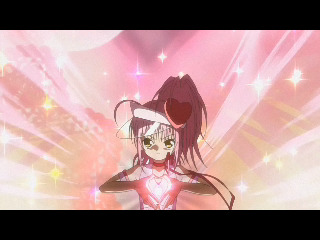 She does a chara change, though in her case, it doesn’t affect her physical appearance, and starts to lash out on Ikuto. During the fight, the crust she’d baked so far falls from the table. She’s distracted though when she sees the green egg hatch. The guardian character who emerges introduces herself as Su. 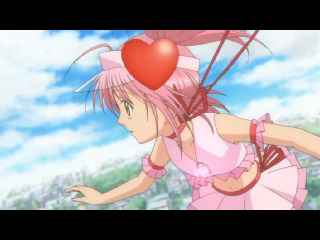 After some chaos, they find that the crust has broken, and Ikuto leaves. Fortunately, Su helps Amu quickly make some cookies, who writes Tadase a letter to go with them. 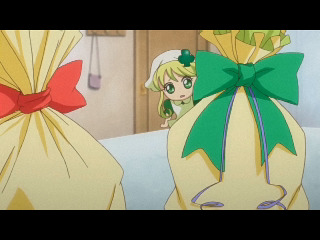 Once it’s done, they wrap it up and tie it with a green ribbon, but Amu decides it’s too embarrassing to give to Tadase, so she makes another package. This one, she puts a red ribbon on. The next day, when it’s time for her to give him the package, Su brings over the other, because she liked the green ribbon better. When Amu learns that they accidentally gave him the wrong package, she and her guardian characters have to infiltrate his house to switch it. 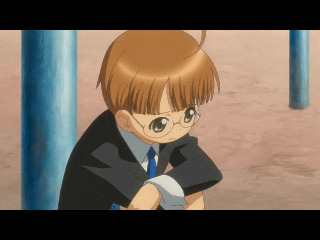 In his room, they’re stopped by someone, who happens to be Kiseki, Tadase’s guardian character. 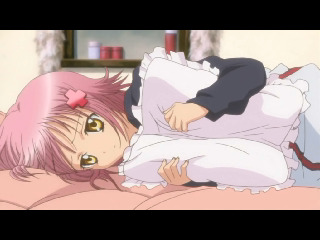 Amu starts to play with him (and choke him in the process) and by that time, Tadase finds them. 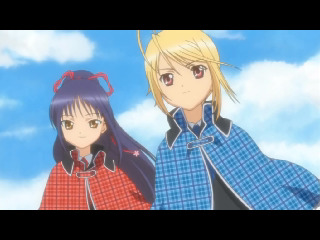 Amu talks with Tadase, who convinces her to become a guardian. However, Amu makes the mistake of accidentally calling him “prince,” which somehow activates his chara change and makes him go insane. Once he’s back to normal, the other guardians have all arrived, and she also gives him the proper bag of cookies. Yaya wants some too, so he decides to share. At the next school assembly, Amu is announced as the newest guardian, but much to her dismay, she’s the joker. I like the fact that while the plot of this episode was quite a bit cliché, it still managed to turn out well. I’m not sure how many times I’ve seen cases of a character accidentally giving someone they have a crush on something embarrassing, due to the packaging looking the same. It’s not even a plot line I normally like. I guess there was just a lot of other fun things going on. First off, Tadase’s chara change is freaky. He’s totally maniacal and psychotic. It’s an interesting side of his personality, considering how refined and gentlemanly he seems to normally be. 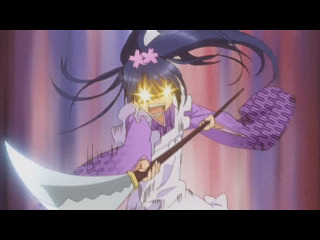 Nadeshiko’s was pretty crazy too, though in her case, she was trying to stop Ikuto, so I guess I didn’t think as much of it. 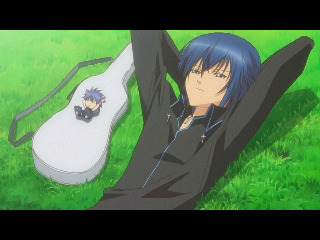 Also, that one scene with Ikuto and Amu was quite amusing. Right when I first saw him, I thought they were going to try and pair him up with Amu somehow (because mahou shoujo always have to go for the dark bishounen.) Actually, I don’t know if they’ll really end up together, but there was definitely a lot of blushing going on in that scene. It was rather cute. 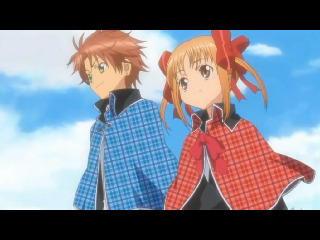 I’m totally a sucker for romantic drama, so it would rule if there was a big Tadase/Amu/Ikuto love triangle going on in the future. 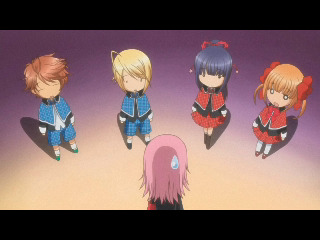 (Or maybe, a love square with Nadeshiko, or that yet-to-be introduced blonde girl?) Oh, and now we have all three guardians. Su is a bit on the annoying side, but not too bad. I remember the little fairies in PC/PCSS were all annoying at first, and they grew on me, so I don’t care too much. Based on the plot summary and promotional art, I really was expecting this to be dumb, but the fact is, I like it a lot. It’s basically a mahou shoujo series, and while it has some dumb elements (there is seriously something called the “humpty lock”) it’s mostly just cute, shoujo fun. The plot revolves around a girl named Hinamori Amu, who’s known for being “cool and spicy.” The fact is, she isn’t really and she doesn’t like this. 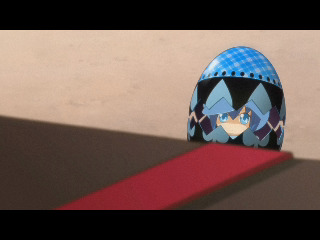 She finds these eggs on her bed one day, one of which hatches and turns into her Guardian Character. With it’s power, she’s able to transform. 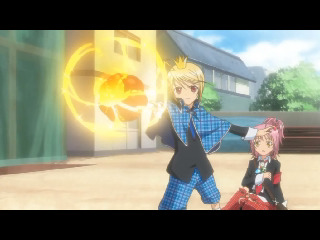 Of course, there’s also this evil catboy who’s trying to steal her eggs. He has a Guardian Character too, as does practically everyone else in the show, according to the ED. I wonder if they all have different powers or something. Anyway, the best part was the end, when Hotori Tadase (Amu’s love interest) creates a huge blast of energy with his powers to fight the catboy, and they make a big explosion. Destruction and the mahou shoujo genre seem to go well together, if Pretty Cure Splash Star is a good indication of anything. Not that I expect this to have many crazy battles. 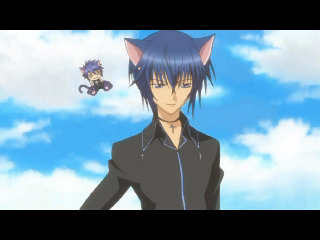 Speaking of the catboy, I’m sure he’ll have his fangirls, but I think I like Tadase better. He’s cuter. I’m looking forward to seeing more of this.